Do you have Better With Mods installed? It's good to see this on 1.12.2, alpha or not. Hi, glad you've ported and consolidated this. I'm using the 1.7.10 version on a highly modded server. I'm having trouble producing special yeasts in a culture jar. My base is on an Extreme Hills biome, and I've tried about 12 times to create yeast in a culture jar, but each time I've only gotten Brewers Yeast. I tried looking at the source code, but it's tough to follow the trail—should lager yeast be guaranteed in Extreme Hills, or is there only a probability it should be produced? If so, is failing 12 times normal? Could other mods be interfering with lager yeast production? I just tried with ONLY Growthcraft—no other mods—in Extreme Hills, and produced about 50 brewers yeast and no lager yeast. Is this a bug, or do I need to use a booze other than "young"? Update: I tried again in Mushroom Island and Ice Plains biomes and got the specialty yeasts. So I understand that the "COLD" biome tag is what allows lager yeast, but then that means that the Gamepedia biome entry is wrong listing Extreme Hills as "cold"? Try to find yeast.json file in the configuration folder. There you can see and configure all yeast to biome linkages. The COLD tag has been removed for extreme hills since 1.11 . Hey, can someone maybe help me? I love this mod and I'm using it in life in the woods and everything works fine. But most of the objects aren't named right. For example wine is called fluid.grc.grapeWine4 5579:4. Does anybody know how I can fix this? I am having an issue where this mod crashes my server on startup. Is there any fix for this? Has anybody else got this working on a server? The mod has only been tested for client deployment. A server only deployment of the mod is planned to be added. For those of us that never played Growthcraft, can you tell us a bit more about what the mod offers? There is ton of info in the description about porting, versions, and original authors... but very little about what the mod actually does besides "hobbies". Just cut the last alpha release! 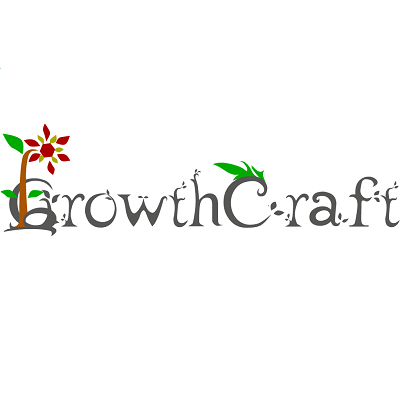 After the porting of Growthcraft Rice, we'll go into BETA. Since 1.7.# Ive been lovin the mod, happy to see its still being kept alive and being updated, so I can put it into a new build (just skip 1.11 cuz Im on 1.12.2 and Im the ONLY one who matters :-P, Im kidding, Im KIDDING people, dont get your undies in a twist...Im not the ONLY one that mattters, might be one other someplace :-P) Nah just joshing, Im just happy to see its still alive I hope, been a while since the last update though, keep up the amazing work, cant wait to see it back in my pack. Thank you Gwafu for creating it and thank you all for keeping it going and up to date. Appreciate the comment :> Once we're done porting everything to 1.11 porting to 1.12 will begin! Same here, this is an amazing mod. Rustic makes a wonderful substitute, but will never truly top this mod. Keep up the awesome work, Kisu. A <3 for the team!